My own team "The Cream of Copsale" were anything but (see last quiz)! 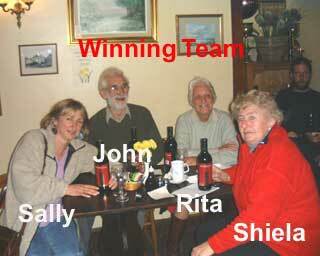 We were thrashed by Sally, John, Rita and Sheila's team. They triumphed in a tightly fought contest that was decided only by adding an extra round of questions. 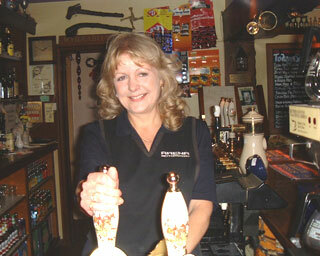 I am genuinely dyslectic and I can see I have spelt Sheila wrong on the picture but do not have time to change it! 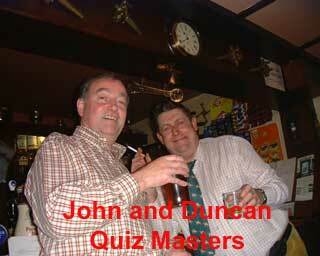 The quiz was organised by David Fisher who unfortunately was not well and so unable to attend. 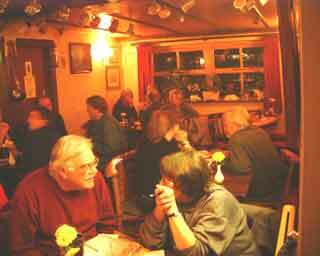 Profits in aid of the village hall maintenance fund. Duncan England the chairman of the Hall committee was the quizmaster and he was helped out in the last round by John Barratt. Teams of competitors. Jean Griffin with Paul Smith at the table in front. Jean is a new committee member and will be one of the panelists at the gardeners question time on the 23rd November..
BJ and Dave of The Bridge House generously provided FOC a huge pile of grub and four bottles of wine for the winning team.